You probably have seen a lot of unboxing post for this pink beauty box all over social media such as Instagram, Facebook, etc. And you probably have wondered, what's the craze about the Althea Beauty Box. I was one of the beta testers of this site and I have shared my thoughts on how convenient it is to shop on this site and how good the products are when I received my first Althea Box and I can't help but shop again because new stuffs are so good and so affordable to the truest sense of the word. 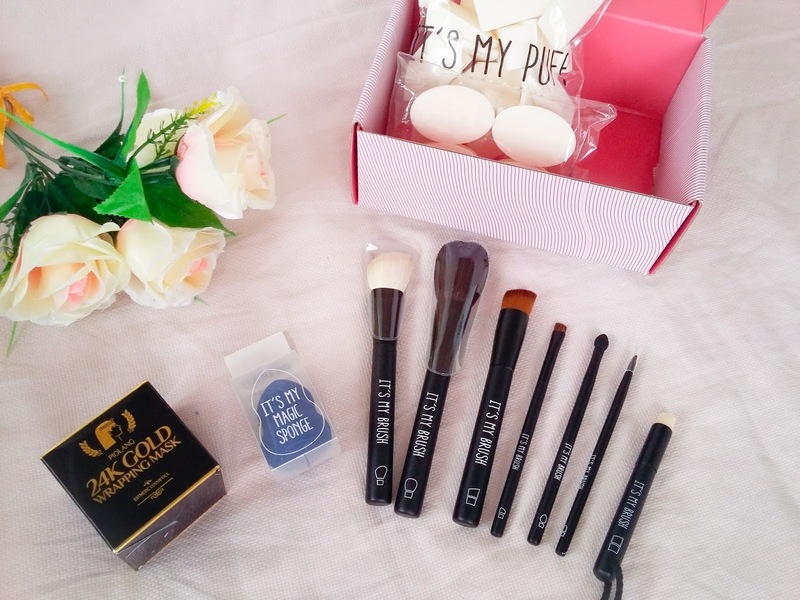 Here's my latest haul from Althea featuring the It's My puff & brushes. I will be posting a separate review for the 24K Gold Wrapping Mask and a separate blog for the brushes and puffs. But this haul costs a total of Php 1,826.00, which entitled me for a free shipping. I'm really not into brushes but I was surprised to get some of these for Php 32 only to Php 100+ per brush. So affordable right? Of all the brushes, my favorite is the powder brush! I so wanted to put on powder every time because it's really smooth! It's amazing that I have a discount on the new arrival items knowing that all are already discounted. It's a discount within a discount! Discount-ception! LOL. But seriously, I'm excited to get another box from Althea. Hi! I've been scouring the site for days and my shopping cart is already waiting for checkout. I am just wondering what are the modes of payment as I can't find the info on the site. Do they accept mastercard?